Spring is here and summer is around the corner. Along with it comes all the yard work. For many this means taking care of weeds as well. If you tend to have issues with weeds in your yard it can be hard sometimes to keep going back to the store to buy the expensive weed killers. Plus I hate using anything with so many harsh chemicals in areas where kids and/or pets may be playing. Here is an alternative for you that you can make at home and save some money as well. 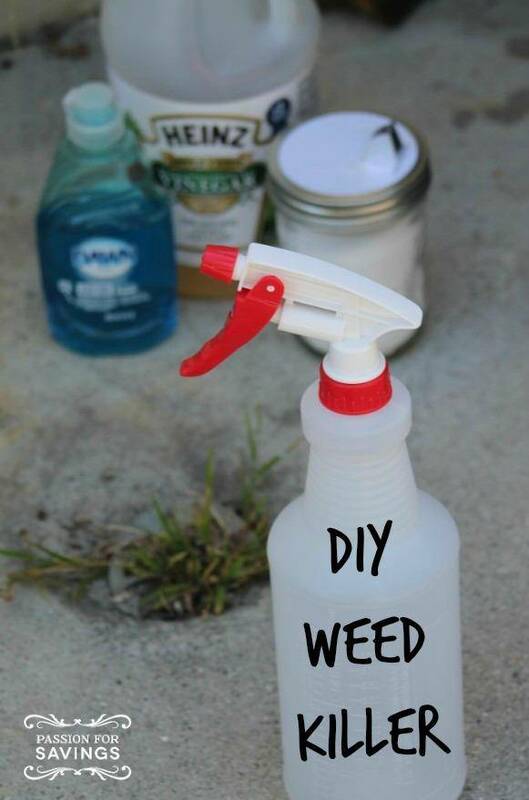 Here is how you can make your own weed killer. Then just spray weeds thoroughly. 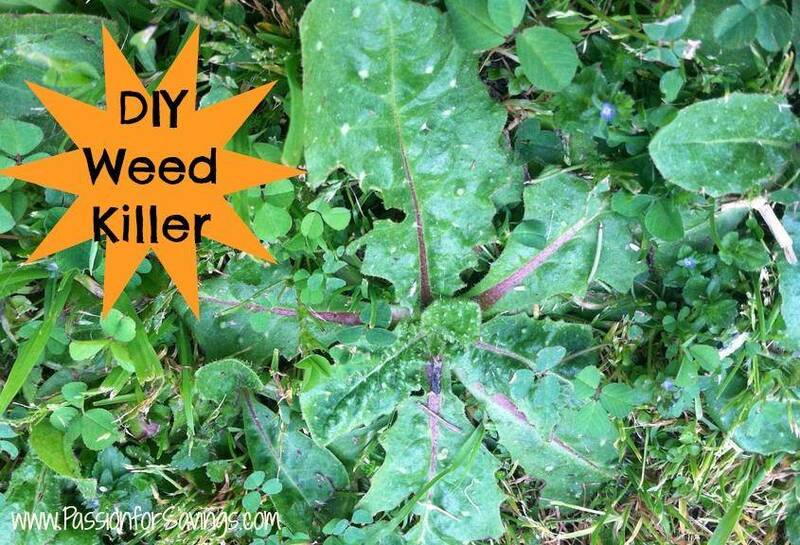 This DIY Weed Killer is simple to make and includes no harsh chemicals. You won’t have to worry about the kids or the pets getting into something they shouldn’t. And it will cost less than you will pay in the store for something similar. So this summer get out and enjoy your back yard, less all the weeds! ENTER YOUR COMMENT HERE. Will this weed killer kill anything else …like shrubs or perennials? Will this hurt/kill the grass around the weed I’m killing with this mixture? I have yet to try this and have a couple questions. Does it kill the roots or just the surface of the weed?can I substitute regular white vinegar? I probably wouldn’t make substitutions as I haven’t tried that but you could always try I just don’t know if it will work or not. It should kill the roots too. Does this kill the grass around it too?